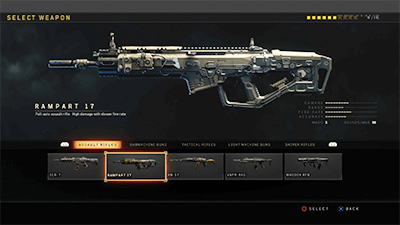 Learn how to play the game mode: Kill Confirmed! Everything you need to know about the Kill Confirmed Game Mode, including tips, recommended specialists, and more! Collecting dog tags from fallen enemies will net you and your team points. Whoever reaches the score limit first, or has more points when the time limit is reached, wins the match. Collecting Dog Tags from fallen teammates will block the enemy from getting those points! Be sure to collect fallen teammate dog tags to ensure that the enemy can't convert them into points! 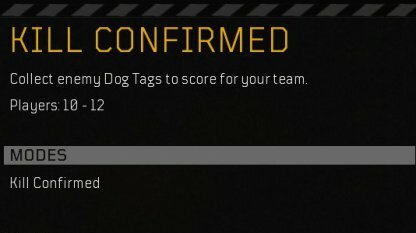 You need to collect dog tags after beating enemies in Kill Confirm Mode. Enemies often ambush to get you down when you go to collect dog tags. So, use Recon's special equipment "Sensor Dart" to check if there are enemies around. You tend to be an easy target of enemies when you go to collect enemy dog tags. Use the special equipment of PROPHET "seeker" to check if there is no enemy around the area to collect dog tags safely. 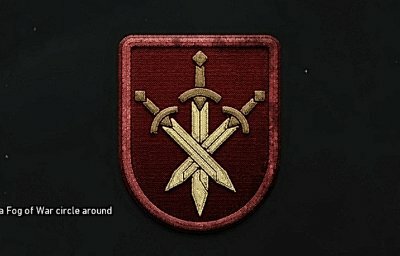 As you need to get dog tags after beating enemies in Kill Confirmed Mode, combat tends to be in close-mid range to get dog tags easier. RAMPART 17 has high damage and is good in close-mid range combat among assault rifles. Submachine gun has high fire rate than assault rifles, and good for close combat. GKS has high fire rate, damage and accuracy and is a well-balanced weapon. The Stim Shot is useful for healing after an engagement. Keep yourself healed up during fast-paced fights in this game mode. Will also be helpful if you get shot at while collecting Dog Tags! If you can take dog tags of your allies when they are beaten, you can deny points to enemies. The perk "Team Link" can help you see allies through walls and you can easily go help or get dog tags of your allies. You can judge whether to collect dog tags when you get enemies down with the perk "Tracker" which can let you see enemies footsteps. You can be an easy target when you go collect dog tags, so use sliding and collect to avoid getting hit. You can use both dog tags of both enemies and allies as a bait to lure enemies. However, enemies could come from your back, so watch out!